Apple Watch - Is the Crown color changeable? Discussion in 'Apple Watch' started by cariacou, Sep 9, 2014. On several different Apple Watch pictures, the crown matches the bracelet (pink, white, black,...). Is it a one time choice at the time of purchase? Are there LEDs inside the crown to change it on demand? Or maybe can you buy a couple crowns and change them yourself? Looks like only on Watch Edition models. They appear to be inserts that match the watch band. We don't even know if it's actually changeable on the Edition models either. Maybe it doesn't need to be because other bands (with silver buckle, etc.) won't match the yellow/rose gold case anyway. Apple shows about 5 or 6 different crowns. With 2 sizes X 2 colors that is a large number of top of the line models. If not interchangeable then I bet the Edition is so exclusive that you (can) order it with the crown you want. Yes, but nobody is going to want to put the stainless steel/black crown on say, aluminum or Space Gray case because the metal colors would be off. The only "unique" color-coded crowns are found on the Edition models and unless they can be interchangeable they seriously limit the bands you can use. 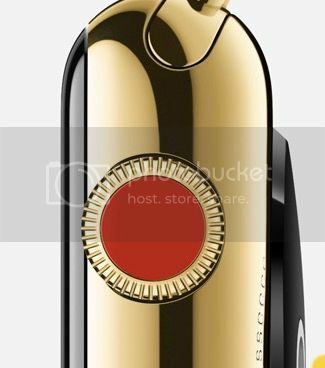 Not to mention that the standard bands with stainless steel buckle won't match the gold cases. It looks like the Sport will just be aluminum, Watch will have Stainless/Black crown and the Edition gets the color crown options. After looking at the Edition I wonder if the center piece might be removable (magnetic???)? I would just hate to spend $1200 (maybe $3000) on an Edition and be stuck with a red (or whatever color) crown when using other bands. For that price point I want my band to match my watch (like in the pics). Of course unless I fall in a pit of crazy money I'm scrapping for the Sport anyway. They already come with matching bands but I bet most people who get the Edition model will not want to anyway because it'll scream "I can afford to drop several thousands dollars!" My guess is anyone who can afford $3000 for the Edition version will be able to afford another standard model like stainless steel which is more versatile with the available bands. What I'm saying is if I buy the Edition with red band/crown, and I also buy a blue band and Milanese Loop band I want to have matching crowns (blue/black) too. Don't want a red crown on a blue band. That would be a little tacky. I guess an LED-powered crown would not be possible right? I can see how crown color is a problem but I don't think there's a Milanese Loop band with the gold trim. 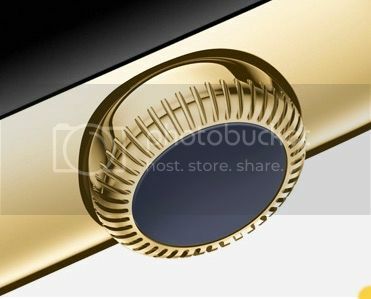 Pairing the yellow gold case with the Milanese Loop/silver trim might look a bit tacky. It remains to be seen whether it's actually changeable on at least the Edition models. Yeah, I don't think we're seeing any metal bands in 18K. Those would be very expensive bands. Also, even if someone wants to make it a two-tone (yellow 18K gold case and standard Milanese loop), the silver end on the standard band poses a problem. A light-emitting crown would be very weird in real life, wouldn't it?